Officer Griffin Lanford was shot and killed after he and his partner interrupted a burglary. 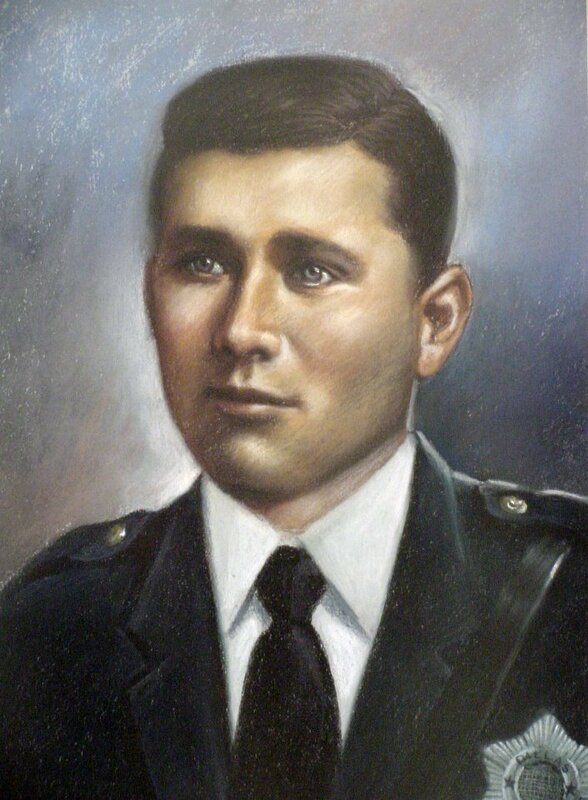 Officer Lanford was fatally shot by the burglar. His partner was able to wound the suspect who was later arrested and executed. Officer Lanford had been with the agency for six years. He was survived by his wife, daughter, three bothers, and two sisters. My wife was Sam's Great Niece. We recently found his brother Emmit"s wallet. When I opened the wallet, I found a telegram telling him to get to the hospital ASAP. Sam has been shot. Emmit carried that telegram in his wallet till the day he died. He was so proud of Sam. I, Bill, never knew either man, but Emmit, Kelly's Grandfather, was her hero, and Sam will forever be a hero for all Texans. Thanks Uncle Sam, and tell Papaw, his favorite Granddaughter still misses him terribly.